The stones of the quarry have become part of the rich texture of the woodland floor. The house has become lost in a series of insensitive and overscaled additions. 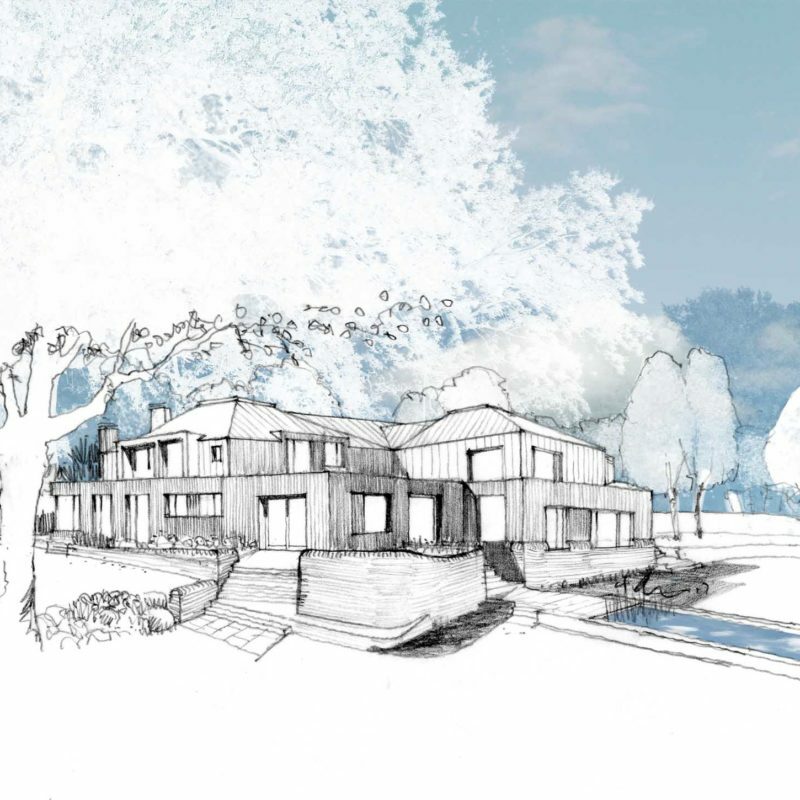 Working closely with the clients, the proposed scheme seeks to restore a sense of composition and dignity to the house, helping it to respond to both the site and the family whose home it will become. A stone base anchors the building into the site.At ground floor a series of new extensions form a cohesive plinth that turns the house towards the surrounding site. Windows are carefully placed to bring light deep into the heart of the home or frame views of the SSSI woodland. A new highly insulated, energy efficient skin will wrap the first floor and roof.